Rogue Thief keeps getting better. Blizzard is rolling out Hearthstone cards day by day leading up to the release of Rise of Shadows on April 9. The next card on the list is a rare Rogue minion named Underbelly Fence—and it’s a scorcher, too. The card is a two-mana minion with two Attack, three Health, and a Battlecry. 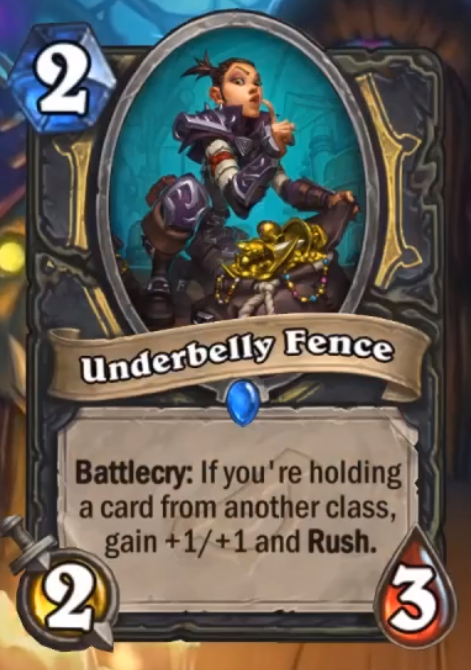 If Underbelly Fence is put into play when you’re holding a card from another class, it gains +1/+1 and Rush. Its stats are almost good enough to warrant play, let alone its Battlecry. It looks as if Blizzard is trying to push Rogue Thief into the spotlight. A number of strong cards that specifically work around Hallucination, Pick Pocket, Blink Fox, and more have been released over the past few weeks—and Underbelly is no exception. Underbelly Fence has tons of value. It can be played in the early game, and even if you don’t hold a card from another class, it can still come into use. But if you’re lucky enough to steal an opponent’s card, you’re in for a treat. It has tons of potential and it’s easy to activate. Rogue Thief will only be a stronger deck with the help of Underbelly Fence. There’s a good chance that it will become of one of the go-to decks in the upcoming expansion. It’s fun, fast-paced, and relatively cheap. It ticks almost every box. How could you go wrong? 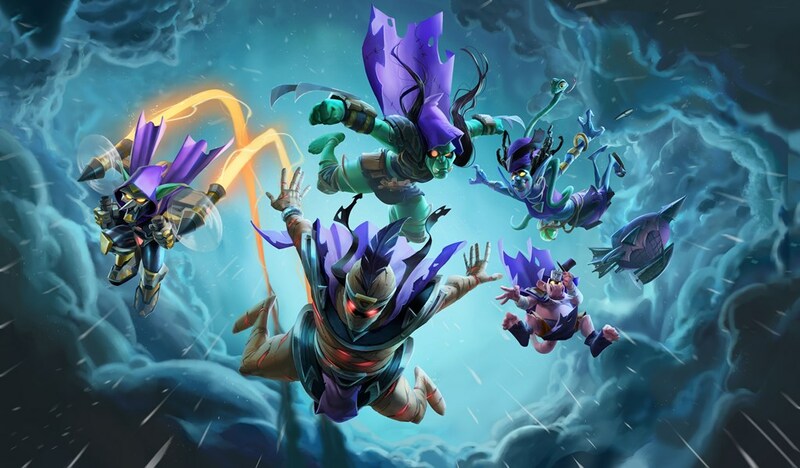 You can have a closer look at all of the new cards when Rise of Shadows becomes available on April 9.